We move closer to Berlin’s economic and political center. 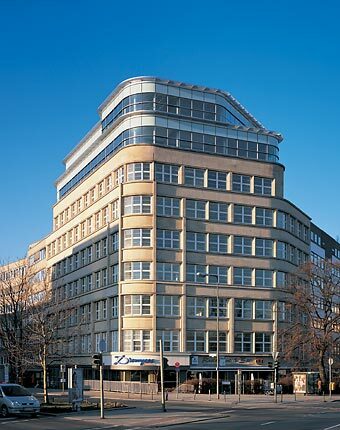 The historic Loeser & Wolff Building, between 1929 and 1983 the headquarters of the 1865 tobacco-company of the same name and a famous Bauhaus architecture, is our new home, right around the corner of Potsdamer Platz. Now we are located in the immediate proximity to Berlin’s economic center, while being in the close neighborhood to the government’s quarters. We left the historical neighborhood at the Fischerinsel.